Motorsport Ireland Young Rally Driver of the Year Callum Devine got his Junior World Rally Championship (JWRC) campaign off to an encouraging start in Sweden last weekend. 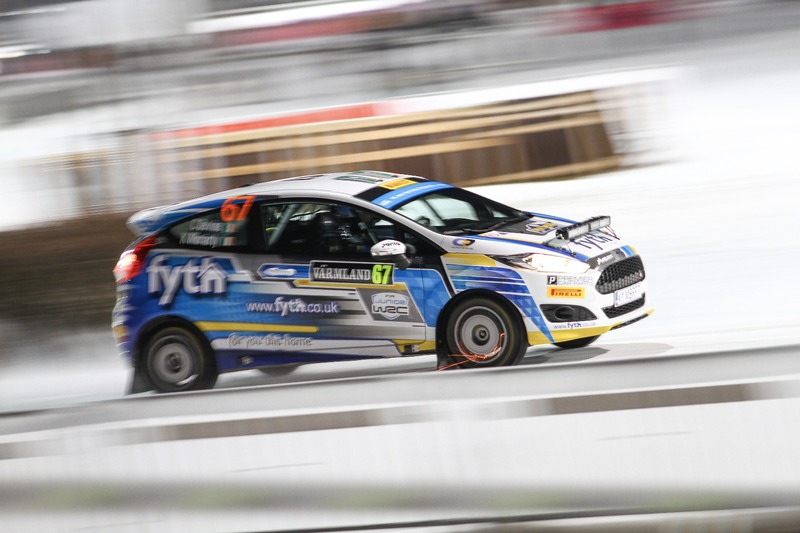 The young Derry driver belied his lack of experience on snow and ice by taking 6th place after 3 days of tough competition on the frozen forest tracks in a Ford Fiesta R2T. Callum’s next adventure will see him head to the Mediterranean island of Corsica in early April for round 2 of the series. The rally will take place on asphalt, and with that being his preferred surface, Callum will be aiming for a strong performance on the island. The remaining rounds will see the JWRC circus descend on Portugal, Finland and Turkey with Turkey being of particular interest as double points will be on offer. Additional points are also available for each individual stage win on any of the events. The prize at the end of the season will be an R5 Ford Fiesta along with support to tackle some WRC2 rounds in 2019. With over a dozen competitors competing in identical cars, it’s sure to be a hard fought prize. To keep up to date with Callum throughout 2018 and beyond be sure and follow him on Facebook, Twitter and Instagram. Callums’s season in the JWRC is supported by Motorsport Ireland, Sport Ireland, the Team Ireland Foundation, Fyth and Premier Car Parts.